Stop trying to rewire human behaviors and focus instead on the environments where they play out. As the chief scientist at a Fortune 25 health care company, it was my job to put behavioral science to good use in the workplace. For a number of reasons, that was easier said than done. In my experience, there are a few reasons why improving human behavior is so difficult. No matter what productivity fix you you personally or your company tries to implement, these are some of the obstacles you’re likely to run up against. Getting past them, though, starts with knowing what they are. Whether we like it or not, whether it seems intuitive or not, most of what we do is automatic and happens under the radar. Our brains evolved to adapt in a much different environment than the one in which many of us work. Just a sliver of our cognitive processes are devoted to conscious thought–the rest is all subconscious. So the question isn’t whether our behaviors are rational or irrational. They’re neither, because most of what we do isn’t intentional. The real question is whether our behaviors are adaptive, rather than maladaptive, for today’s world. The upshot of this is that it’s often more effective to reengineer the environment, so that peoples’ natural inclinations lead them to better behavior, than it is to try to change peoples’ minds. This insight follows from the first. Because our attention is so scarce and brittle, our good intentions don’t always see the light of day. This means that bad behavior is rarely due to bad intentions on which we act. Instead, it’s too often due to perfectly good intentions on which we simply don’t act. 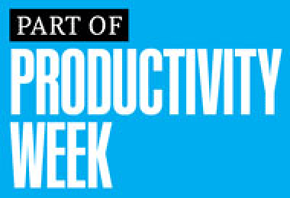 More information, steeper incentives, and aggressive persuasion aren’t likely to make you more productive. But once you get your head around this reality, you stop pursuing solutions focused on changing underlying intentions: More information, steeper incentives, and aggressive persuasion aren’t likely to make you more productive. These strategies tend to disappoint us because they’re going after the wrong problem. More often than not, we need strategies that activate peoples’ preexisting good intentions, rather than find ways to rewire them. Here’s where an analogy might help. We now understand the science of mechanical physics (tension, torque, compression, material strengths, harmonics) well enough to build bridges that reliably work as intended. This success represents a translation of insights from the world of science to applications in the world of engineering. This translation took two things: a deep understanding of physics and a little trial and error. So what do we know so far? Well for one thing, the interventions that seem to have the biggest effect usually require some heavy lifting and reengineering behind the scenes. To take one example: changing the default so employees automatically save for retirement unless they actively opt out of the program. This makes participation effortless for the worker, but it requires building a system that automatically enrolls employees, keeps track of those who opt out, and deducts money from the paychecks of those who don’t. The same is often true of other productivity “hacks” and “solutions.” The tools and strategies that tend to pay off for the long haul are those that don’t require individuals to dramatically overhaul their behaviors. But tapping into peoples’ automatic habits and impulses usually means rewiring the environments in which those behaviors play out, and that can be difficult. The same brains that generate behavioral hiccups in health, for instance, cause hiccups in other areas of behavior as well. This means that there’s often plenty of room for cross-pollination. It’s very likely that someone else has come up with a nifty intervention to improve behavior in one setting that could be used as a jumping-off point for another improvement. PetSmart Charities, for example, gets a lot of PetSmart customers to donate simply by asking them to say yes or no to making a donation. We need strategies that activate peoples’ preexisting good intentions, rather than find ways to rewire them. As behavioral scientists know, simply being alerted that there’s a choice to make is a powerful way for getting people to choose the way you want them to. Express Scripts, my former employer, took a similar approach by asking people who got their medication at a retail pharmacy whether they’d rather stick with retail or move to home delivery. Nearly 40% switched. Some of the most effective solutions might come from the most surprising places. One of the best productivity hacks, in other words, is to stop looking so narrowly for what are already billed as productivity hacks. Spend some more time finding out how people are changing behaviors in other settings–including those that have nothing to do with the ways people work.